Posted on October 9, 2015	by Alice C.
Mister Finch is a self-taught textile artist who makes some strange yet compelling soft sculptures. Christine Kane’s “5 Secrets to Practical Productivity” made a lot of sense to me. I struggle with both numbers 1 and 2 on her list. 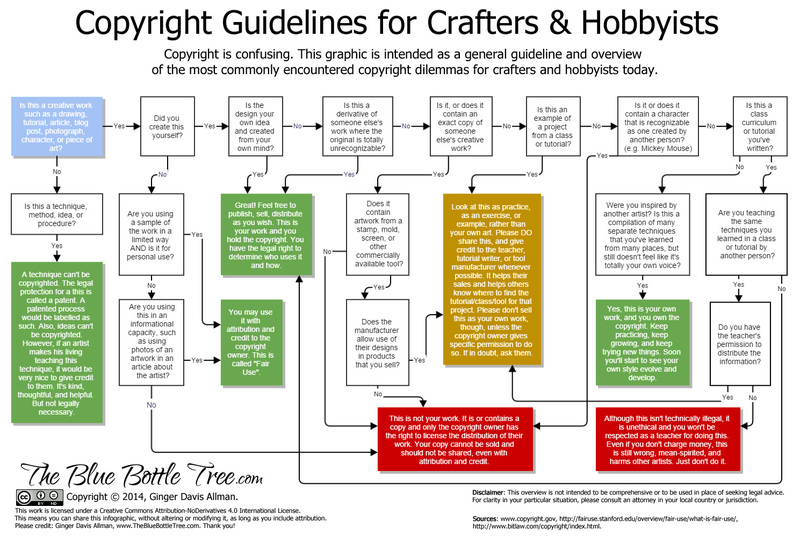 I like this flowchart of copyright guidelines for crafters and hobbyists. You can play the Oregon Trail computer game online for free thanks to the Internet Archive. Plus, check out their huge collection of other vintage MS-DOS games. Why blogs are better than Facebook. I completely agree.